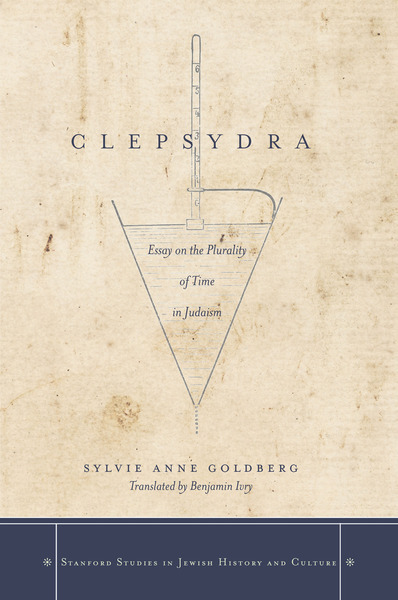 Stanford University Press, Stanford Studies in Jewish History and Culture, , 384 p.
The clepsydra is an ancient water clock and serves as the primary metaphor for this examination of Jewish conceptions of time from antiquity to the present. Just as the flow of water is subject to a number of variables such as temperature and pressure, water clocks mark a time that is shifting and relative. Time is not a uniform phenomenon. It is a social construct made of beliefs, scientific knowledge, and political experiment. It is also a story told by theologians, historians, philosophers, and astrophysicists. Consequently, Clepsydra is a cultural history divided in two parts: narrated time and measured time, recounted time and counted time, absolute time and ordered time. It is through this dialog that Sylvie Anne Goldberg challenges the idea of a unified Judeo-Christian time and asks, "What is Jewish time?" She consults biblical and rabbinic sources and refers to medieval and modern texts to understand the different sorts of consciousness of time found in Judaism. In Jewish time, Goldberg argues, past, present, and future are intertwined and comprise one perpetual narrative. Sylvie Anne Goldberg teaches at L'École des Hautes Études en Sciences Sociales and is the author of several books including Crossing the Jabbok: Illness and Death in Ashkenazi Judaism in Sixteenth- through Ninteenth-Century Prague..